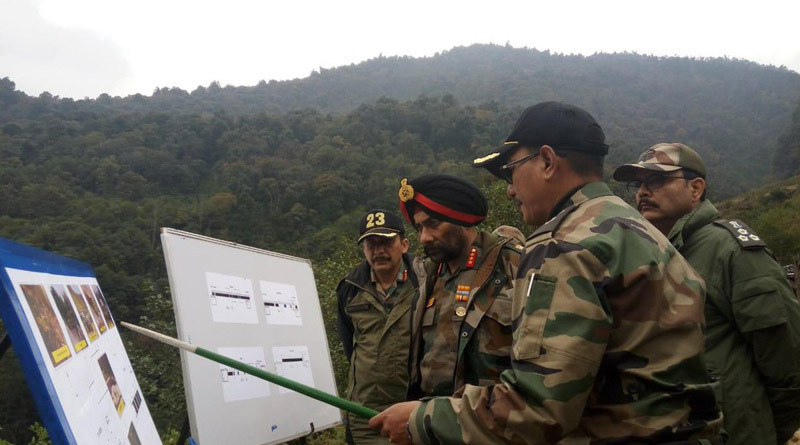 Director General Border Roads (DGBR) Lt Gen. Harpal Singh reviewed the progress made on operationally critical roads in the Area of Responsibility of Project Arunank from November 20 to 21, 2018. The DGBR inspected Road TCC – Taksing & TCC-Bidak. He was accompanied by CE (P) Arunank Brig RS Rawal during the inspection of sector. The DG stresses that the quality of work should be of the highest standard and PDC must be adhered to at all cost. He expressed general satisfaction about the quality of work. Lt Gen. Singh DGBR travelled by road from Taksing to Gelensiniak-Bidak and arrived at Limeking. He inspected the ongoing road construction and took stock of plan of Bailey Bridges on various Nallahs and rivers for fair weather connectivity to Taksing and Bidak. The DGBR met the BRO personnel and CPLs at various work sites, complimented and exhorted them to keep pushing forward so that connectivity on these roads could be established. He also took stock of the difficult terrain, unpredictable weather and the constraints of local resources in the region which posed huge challenge to BRO in timely completion of the roads. The inspection of Hapoli- Sarli-Huri Road was carried out on 21 November, 2018. The DG expressed his satisfaction at the pace of progress and directed that the PDC for connectivity should be met at all costs. The DG also complimented the BRO staff and praied them for their dedication to work in extremely remote areas with tough terrain conditions and persistent inclement weather. 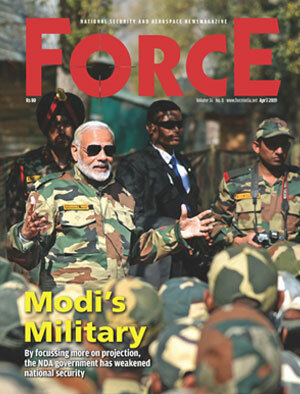 He exhorted them to continue the good work and ensure timely completion of the task with highest quality. The DGBR also called on the Governor and Chief Minister of Arunachal Pradesh and informed them about the status of road works in the state.